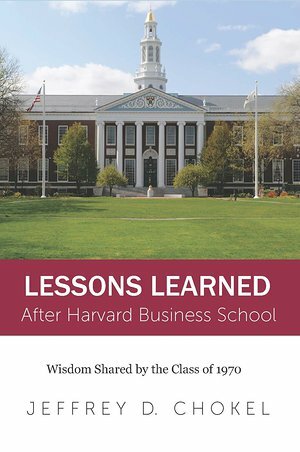 This book explores what happens to HBS graduates when they join the real world of business. The book is based on 132 interviews of graduates from the Class of 1970. Various chapters of the 264-page paperback examine individuals by name as they climb corporate ladders, deal with international challenges, start companies, handle adversity, and switch careers. Not all are successful, but they all provide advice and wisdom. Included in the profiles are the founder of Cardinal Health, who after ten years of challenges in the grocery wholesale business switched to health care and grew a $100 billion business. Another discusses how a NYC banker was hired to run the largest bank in the Czech Republic and dealt with a loan portfolio where the loan officer customarily got a 6% kick-back for making the loan. A resident of Rio built a successful financial empire despite a 3-year bank freeze that wiped out most wealthy Brazilians who couldn't unlock savings and repay debt. There's also a chapter on "Tweezerman," an entrepreneur who failed at everything he tried for ten years before finding a need for specialized tweezers. Another became the youngest Fortune 500 CEO ever at age 42 when named to lead Black & Decker. There's a woman credited with building the "SnackWell" brand as head of Nabisco, initiating the early healthy food craze. One grad moved from the poverty of inner-city Detroit to join six major corporate boards. An entrepreneur sold his successes and became business school dean at the University of Southern California. Yet another became a billionaire by bringing efficiency to third world electric companies, and then saw much of the money vanish when forced to lower rates.